RBBH DN15-40 Household Ultrasonic Heat Meter (Thermal BTU Meters) with MID Class 2 Approved is an innovative heat meter with static flow sensor based on the ultrasonic measuring principle. RBBH Ultrasonic Heat Meter is designed for measuring the use of heating in which water is the heat-bearing medium. RBBH Ultrasonic Heat Meter utilizes ultrasonic measuring methodology and microprocessor technology. All calculation and flow measuring circuits are designed on one single board, thus offering exceptional accuracy and reliability. 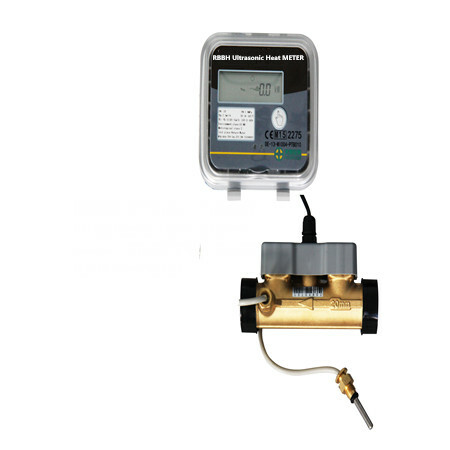 As a professional supplier and manufacturer of Household Battery Powered Ultrasonic Heat Meter, RB flowmeter has been supplying quality Household Ultrasonic Heat Meter to customers all over the world for over 15 years.